Our Team - All about apps in YOUR classroom! Michael is an 8th Grade Social Studies Teacher at James Workman Middle School in Cathedral City California. After working as a Chef for 15 years due to an early midlife crisis, he returned to school and received a Bachelors Degree in Political Science from California State University San Bernardino, and a Masters degree in Educational Technology From Azusa Pacific University. Michael and his wife Nena enjoy a love of travel and have visited 47 of the 50 states, and almost 20 countries in 15 years of marriage. Being born in Boston Michael has a life long addiction to the Red Sox. A perfect summer day would be sitting on the front porch of his families Massachusetts home listening to the Sox on the radio. At James Workman Middle School Michael piloted a 1 to 1 device classroom. In addition he is a leader in creating curriculum that is device neutral. Michael is an advocate for programs that help advance this device neutrality. Towards his dream of a paperless classroom Michael promotes the use of Google Drive because of its sharing and collaboration options. Other programs that Michael has inserviced teachers on that bring interactivity to multiply operating systems devices include Socrative, Nearpod, eBackpack. At his school site Michael has had primary responsibility for setting up and maintaining, and distributing multiple technological platforms. These include Macbooks, iPads, iPods. At the district level Michael has been a leader in integrating emerging technology like iPads, iPods, and Chromebooks into curriculum. Michael has also presented multiple times at the Computer Using Educators convention held in Palm Springs on subjects from integrating internet resources into curriculum, to student BYOD projects. With the approaching adoption of Common Core Curriculum, one of the solutions Michael will advocate for is the use of Document Based Questions (DBQ) as one of the strategies to help in this transition. Michael’s instructional goals for the coming year is to transition the majority of his curriculum to a Document or Data Based Model. Karen has been a teacher for nine years. She began teaching in 2004 at Cahuilla Elementary School. For the past three years, her class has been a part of a 24/7 laptop program.She is now serving as one of Palm Springs Unified School Disrtict's Instructional Technology TOSAs. Karen loves using technology in the classroom and supporting other teachers to do so as well. She has recently earned her Certificate in Technology Integration in the Classroom and her Leading Edge Certification and is working on earning her NETS-T Certification. She plans to pursue a MA in Educational Technology when time allows. Karen and her family live in the San Bernardino mountains just outside of Big Bear. She has a son, recently graduated from high school, and two daughters, still in high school. 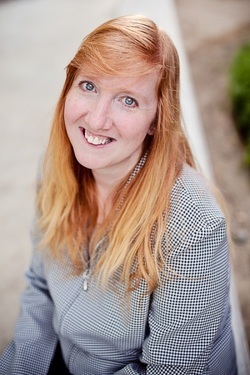 Karen hopes to use her experience and passion with technology in her new position to help students be successful in the current and coming technological ages by supporting teachers in developing their skills in computer literacy. 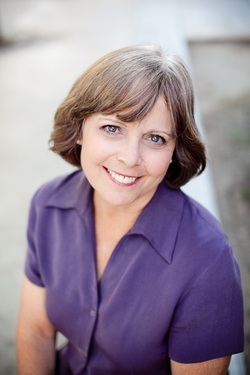 Lee is an Education Technology Specialist for Palm Springs Unified School District. She is dedicated to serving the teachers and students in the 25 schools across the communities of Palm Springs, Cathedral City, Desert Hot Springs, Rancho Mirage, and Thousand Palms to provide all with the skills needed to be literate in our global society. Lee is enthusiastic about collaborating with teachers in the district to make this happen. “We have such talented teachers in our district. With the help of this amazing team, we can ensure that Palm Springs Unified leads in meaningful technology integration.” Prior to coming to Palm Springs 14 years ago, Lee was a 3rd, 4th, and 6th grade teacher, Education Manager at Ameritech and BDM, and a professor at Wright State University and Miami University. Lee is an active member of CUE and regularly presents at national and state conferences. She has a Masters and Doctorate in Organizational Communications from Bowling Green State University, Ohio and a Masters in Educational Administration from California State University, San Bernardino. Jessica Pack is a 6th grade teacher at James Workman Middle School, where she teaches Language Arts, Social Studies, ASB and Video Production (BTV). 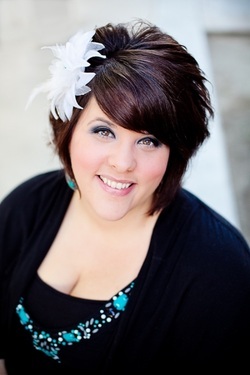 Jessica was named 2014 Riverside County Teacher of the Year, 2013 Palm Springs Unified Middle School Teacher of the Year, and was an Educator of the Year Region 10 honoree for the California League of Middle School Educators in 2008. Jessica has piloted the PSUSD 1:1 Macbook initiative, a 2:1 iPad Program, and the PSUSD Student BYOD Program. Jessica is passionate about teaching and implementing mobile technology into the classroom using best practices. She regularly provides practical, hand-on professional development on Common Core, flipped classrooms, digital storytelling, student BYOD strategies, establishing a web presence, creating content for iOS devices using iBooks Author and iTunes U, and iPad integration. Most recently, Jessica conducted a week long series of workshops for teachers in Burlington, Vermont, at the Mobile Media Maker Camp. There, she also gave the opening and closing keynotes on the connections between Common Core and Media Creation. Jessica often presents at the annual CUE conference in Palm Springs both individually and as part of the AppsInClass team (2013, 2012, 2010, 2009). She is also the newly elected president of Cahuilla CUE, our local CUE affiliate, and a lead planner/organizer for EdCamp Palm Springs. Please consider joining Jessica's Personal Learning Network by following her on Twitter @Packwoman208. Read her teaching blog, access tons of original content, and check out her other published resources at www.packwomantech.com. Access digital storytelling film challenges by Jessica at www.packwomanfilm.com. 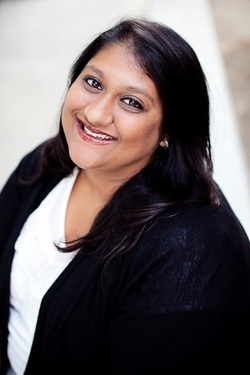 Bhavini is a fifth grade teacher at Two Bunch Palms Elementary School in Desert Hot Springs. She received a Bachelors degree in Child & Adolescent Development from California State University, Fullerton, and a Masters degree in Education with an Emphasis on Reading/Language Arts from California State University, San Bernardino. Bhavini is currently participating in the Teacher Leadership Certification Academy from the Riverside County of Education. Bhavini has taught first grade for five years and is currently teaching the fifth grade GATE. Bhavini is one of the PSUSD iPad Trailblazers and loves integrating technology into her daily instruction. Outside of school, Bhavini enjoys traveling, reading and spending time in Orange County with family and friends. Eduardo was a ninth grade Algebra teacher for five years at his alma mater, Cathedral City High School. 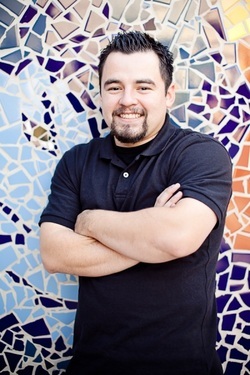 Eduardo will be serving as the Palm Springs Unified School Disrtict's Instructional Technology TOSA. He graduated from the University of California in Irvine and received his credential and his masters from National University. Eduardo has been teaching since 2008 and has also participated in the 24/7 program, which gave students apple laptops to use for all of their core subjects. Eduardo enjoys researching new technology and is constantly looking to improve the learning environment in his classroom. He has implemented the use of an Ipad and an Interwrite pad in his classroom and he regularly uses apple laptops to drive instruction. Eduardo runs a 1 iPad classroom and uses the iPad to leverage the learning that takes place in his classroom. Eduardo is the father of two amazing boys. As well as having great children he also has a wonderful wife that he met as a student at Cathedral City High School. His wife, Ruby Rivera, is also a teacher at Cathedral City High School. Both Eduardo and Ruby hope to help and encourage students as their teachers did for them. This year’s website, which Eduardo uses to supplement learning, is www.cchsmath.com. Eduardo hopes to further his staff’s interest in technology and encourage students to become lifetime technology learners. Eduardo has presented at CUE 2013 and EdCampLA. Eduardo just finished training teachers in his district on google products, web 2.0 tools, flipping, advanced flipping, and creating a web presence. Eduardo will be receiving his lead edge certification by the end of the Summer and is working towards his National Educational Technology Standards for Teachers (NETS-T) certification. In collaboration with John Stevens, Eduardo started algebraantitextbook.weebly.com which will be an ongoing collaboration to develop a curriculum that is more in line with the common core math standards. John is a Geometry teacher at Alta Loma High School in Upland, California. 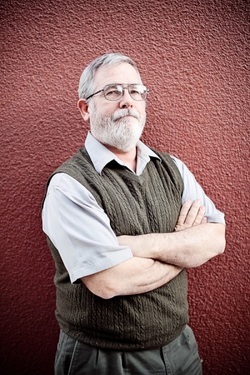 He has been teaching since 2006, receiving his Bachelor's Degree in Mathematics from Cal State, Los Angeles. 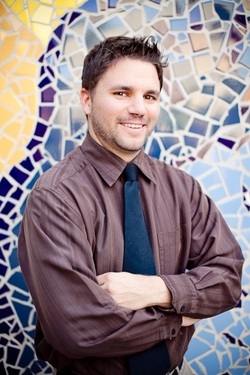 In 2011, John received his Masters Degree in Educational Technology from Grand Canyon University and has a passion for integrating technology into the classroom. He has taught Algebra 1, GATE Algebra, 8th Grade Math, Service Learning, and Engineering, Robotics, and Design at the middle school level as well. Outside of school, John enjoys hiking, kayaking, fishing, playing and watching sports, mountain biking, and hanging out with his amazing sons and beautiful wife. He has been married since 2008 and, in 2010, welcomed a beautiful boy into this crazy world. Life as we know it has evolved into family time and enjoying the experiences that life throws his way! Life changed again in September of 2012 as the Stevens family welcomed a second boy to the family tree. He is ready for bruises and boys being boys! John is also responsible for the site for his students, mrstevens.weebly.com. On his site, John offers his curriculum as a flipped model as well as additional materials for his students. As a way to share many of the resources that he uses in his classroom, John started www.fishing4tech.com and updates it regularly with blog posts and original content. Within the site, he shares experiences of a BYOD pilot classroom, weekly reflections of his students' 20% time projects, his flipped classroom experiences, presenting stories, and anything else that comes up! Recently, he also started wyrmath.wordpress.com to invoke meaningful conversation among his students. Mina is currently an administrator at Victor Valley Union High School District, California. Mina was a great help in establishing the foundation of AppsInClass.com, contributing great apps that can apply to science and general education.